The papers of Alfred Newton Richards, Professor of Pharmacology at the University of Pennsylvania, 1910-1966, are arranged in five series. They include: Correspondence, 1906-1966 (6 1/2 cubic ft.); Professional Papers, 1910-1969 (2 1/2 cubic ft.); Organizations, 1904-1966 (19 cubic ft.); University, 1904-1961 (4 cubic ft.); and Writings, 1915-1963 (6 cubic ft.). Correspondence is arranged chronologically and then alphabetically under each year. Organizations are arranged alphabetically, some organizations comprising one file folder, others, several cubic feet. The largest grouping, Merck, comprises 5 cubic feet. In the University series, experiments carried out by colleagues and students are filed alphabetically by name. Experiments carried out solely by Richards or in conjunction with colleagues and students are filed alphabetically by subject. In the Writings series, abstracts are arranged alphabetically by subject. Articles are arranged into three subseries: articles by Richards; articles written collaboratively with colleagues; and third party articles. Journals and pamphlets are arranged alphabetically by title. The arrangement of Professional Papers is reflected in the inventory. Alfred Newton Richards was born on March 22, 1876 in Stamford, New York, to Reverend Leonard E. Richards and Mary Elizabeth Burbank Richards. He was named after Reverend Alfred Newton, the father of Mary Richards’ best friend. Both of Alfred Newton Richards’ parents had been schoolteachers before marrying, and his mother held a degree from Granville Female Seminary (now a division of Dennison University). Their devotion to religion and education had a great impact on Richards’ life. Richards attended the Stamford Seminary and Union Free School, graduating in 1892. He then went on to Yale University, where he received a B.A. with honors in chemistry in 1897. The following year, through the aid of Professor R.H. Chittendon, Richards received a fellowship to study at the Sheffield Scientific School at Yale. When Chittendon moved on to the College of Physicians and Surgeons of Columbia University, Richards went with him and spent ten years there. In 1901, he became the first person to receive a Ph.D. in physiological chemistry from the Graduate School of Columbia University. Through the aid of Christian Heurter, a faculty member at Columbia and a trustee of the Rockefeller Institute, Richards became the first person to receive a scholarship from the Rockefeller Institute. In 1901, by means of the scholarship, he was able, along with Heurter, to carry on experiments with epinephrine in the Laboratory of Physiological Chemistry at Columbia. In 1904, Heurter and John Abel founded the Journal of Biological Chemistry. At their invitation, Richards became associate editor, and, upon Heurter’s death in 1910, managing editor, a position he held until 1914. While at Columbia, Richards began teaching an elective course in pharmacology; in 1907, the popularity of Richards’ course helped Heurter to incorporate pharmacology into Columbia’s curriculum. 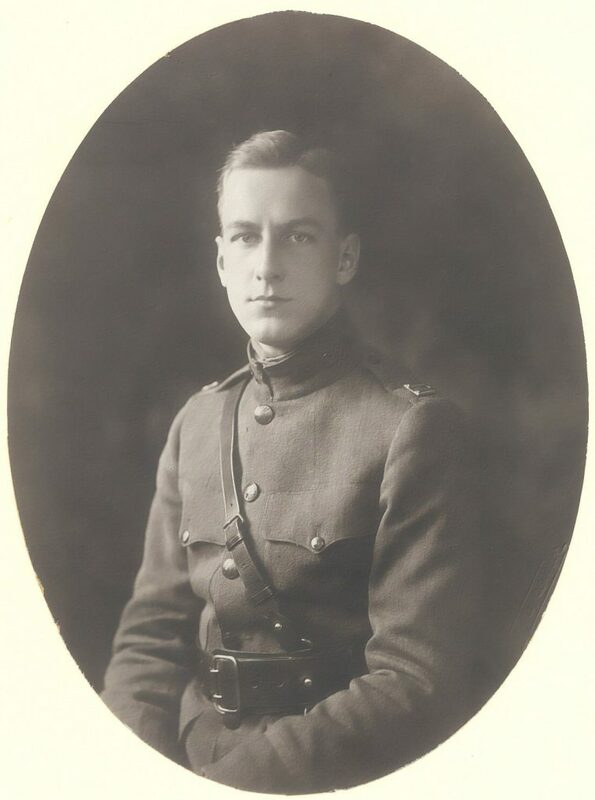 Richards left Columbia in 1908 to help set up a department of pharmacology at Northwestern Medical School. On December 26 of that same year, he married Lillian Woody. 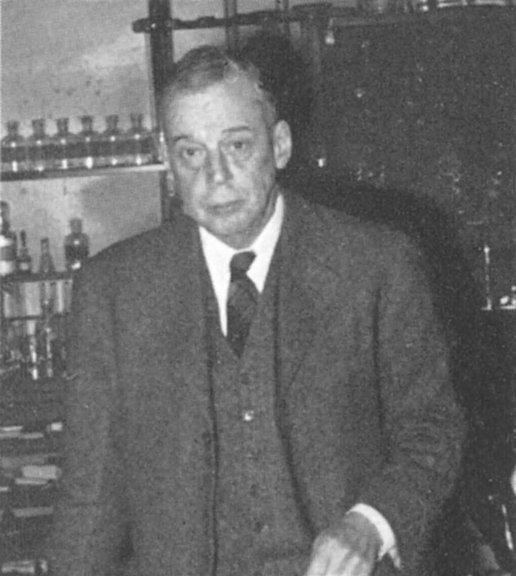 After two years of work at Northwestern, Richards arrived at the University of Pennsylvania Medical School in 1910 to be chair of Pharmacology, a position which he occupied until 1946, when he became Professor Emeritus. After the United States entered World War I, Richards went to Britain to study wound shock with Henry H. Dale and the staff of the British Medical Research Committee. In 1918 he became a major in the U.S. Sanitary Corps and was sent to France to set up a laboratory for the study of the effects of gas warfare. The war ended before equipment for the laboratory arrived, and Richards returned to Philadelphia, receiving an honorable discharge. It was upon Richards’ return that his work in kidney function took place, leading to kidney micropuncture and results which supported the filtration-reabsorption concept. In 1939, due to the death of Alfred Stengel, Richards was named Vice-President in Charge of Medical Affairs at the University of Pennsylvania, a position which he held until 1948. In 1941, he became Chairman of the Committee on Medical Research (C.M.R.) of the Office of Scientific Research and Development (O.S.R.D. ), an office founded by President Roosevelt. One of Richards’ main accomplishments during his tenure as Chairman was to help make penicillin widely available to troops and to the public. 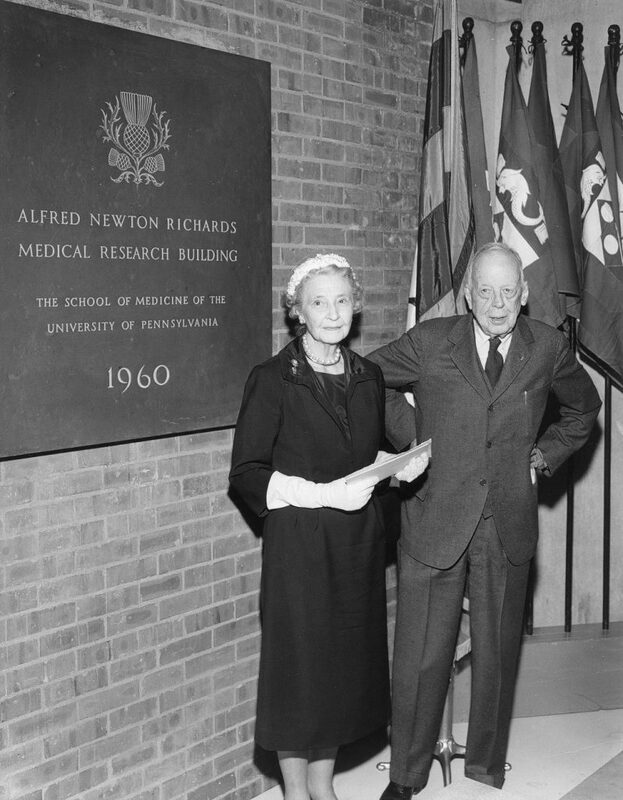 Between 1941 and 1946, Richards divided his time between his duties as Vice President for Medical Affairs at the University of Pennsylvania and his duties as Chairman of C.M.R. ; often this meant working in Philadelphia during the week and then working in Washington, D.C. through the weekend. When the O.S.R.D. was officially terminated in 1946, Richards had a short respite before being elected to the Presidency of the National Academy of Sciences in 1947, a position which he held for three years. In 1948, President Truman appointed Richards to the Medical Affairs Task Force of the Commission on the Organization of the Executive Branch of the Government, a group which prepared the Report on Medical Services. Also in 1948, Richards became a member of the Board of Directors of Merck and Co. He had been a consultant to the company since 1931, and between 1953 and 1955, he served as Chairman of the Scientific Committee of the Board of Directors. In 1948, Richards also became an Associate Trustee of the University of Pennsylvania. Throughout his life, Richards received many honors and awards, including the Abraham Flexner Award of the Association of American Medical Colleges, the Gerhard Medal of the Pathological Society of Philadelphia, the Kober Medal of the Association of American Physicians, the John Scott Medal of the City of Philadelphia, the gold medal of the New York Academy of Medicine, the Keyes Medal of the Association of Genito-Urinary Surgeons, the Philadelphia Bok Award, the Procter Award of the Philadelphia Drug Exchange, the Guggenheim Cup Award, the Lasker Award, and the Kovalenko Medal of the National Academy of Sciences. He was also honored by having a Kahn-designed medical building named after him at the University of Pennsylvania. Richards held the following honorary degrees: Doctor of Science from the University of Pennsylvania, Western Reserve University, Yale University, Harvard University, Columbia University, Williams College, Princeton University, and New York University; Doctor of Laws from the University of Edinburgh and Johns Hopkins University; Doctor of Medicine from the University of Pennsylvania and the University of Louvain. He was a member of numerous organizations, including the National Academy of Sciences, the American Philosophical Society, the American Physiological Society, the American Society of Biological Chemists, and the Association of American Physicians. Richards died in 1966, two days after his ninetieth birthday. He had one child, Alfred Newton Richards, Jr., who died in a plane crash in 1962; Richards’ wife died in 1971. They had four grandchildren. The Alfred Newton Richards Papers, 1910-1966, 1969, mainly document the professional and academic activities of Richards, with the exception of a small group of personal correspondence, most of which relates to honors received by him. The collection begins in 1910, the year that Richards arrived at the University of Pennsylvania, but includes a few earlier papers. The Correspondence files contain professional correspondence, most of which was written during Richards’ tenure as Vice President for Medical Affairs at the University of Pennsylvania. However, much of the third party correspondence is composed of earlier files which Richards, upon becoming Vice President for Medical Affairs, inherited from Alfred Stengel, the preceding Vice President. It should be noted that most correspondence which relates directly to specific organizations, such as Merck, is filed with those associations, under the Organizations series, although inevitably, some correspondence relating to organizations has been interfiled in the Correspondence files. The Professional Papers include newspaper clippings, meeting minutes, memoranda, finances, reports, and other professional documents. Photographs of Richards, 1919-1964, and of the University of Pennsylvania, including the Richards Building, dedicated in 1960, are among these files. Also included are drafts and copies of a 1969 supplement to the Annals of Internal Medicine called “Alfred Newton Richards, Scientist and Man,” a tribute to Richards by his colleagues and friends. The major groupings in the Organizations series are the Committee on Drug Addictions, the Committee on Medical Research, the Commonwealth Fund, Hall-Mercer Hospital, Merck and Co., the National Academy of Sciences, the Office of Scientific Research and Development, Penicillin, Sharpe and Dohme, the Wistar Institute, World War I, and many others. Each organization includes correspondence, meeting minutes, finances, and other papers. The University series consists of Richards’ class lectures, notes regarding his courses, and laboratory experiment work. The laboratory experiments include those carried out by colleagues and students and those carried out solely by Richards or in conjunction with colleagues and students. Kidney function is the general subject of most of the experiments, but many specific aspects of this subject are examined. Also in the University series are miscellaneous experiments, photographs, charts, and graphs. The Writings series includes bibliographies of others’ work; abstracts which were presumably written by Richards; a bibliography of Richards’ articles, 1955; Richards’ articles themselves, 1922-1963; Richards’ collaborative articles, 1915-1941; articles by others; journals and pamphlets; and reprints. United States. Army Sanitary School (Langres, France). United States. Office of Scientific Research and Development. Committee on Medical Research. University of Pennsylvania. Dept. of Pharmacology. University of Pennsylvania. Richards Building. Wistar Institute of Anatomy and Biology. Gases, Asphyxiating and poisonous–War use. Awards given to Richards, n.d.
University of Pennsylvania Hospital, n.d.
Autobiographical sketches by Richards, n.d. List of journals in Richards’ office, n.d.
Miscellaneous meeting minutes, 1935-1955, n.d.
Harrison bequest, 1930, 1935, n.d. Newspaper clippings, 1955, 1960, n.d.
Meeting minutes, research project, and principles and proposals, 1937-1939, n.d.
American Journal of Physiology, 1930-1934, n.d. Invitations and finances, 1940-1947, n.d.
American Physiological Society, 1932-1945, n.d. Unidentified third party correspondence,1937-1941, n.d.; third party correspondence, n.d.
Memoranda and excerpts from conversations, 1937-1945, n.d.
Re by-laws and constitution, n.d. Unidentified outgoing, 1943-1946; outgoing, n.d. Speeches by ANR, 1945-1946, n.d. Speeches by Chester Keefer, 1944, n.d.
Re military draft, 1943-1945, n.d.
Committee to Study Dust Control: Finances, meeting minutes, purpose, and notes, 1946-1948, n.d.
Notes and memoranda, 1939-1940, n.d.
Notes and research programs, n.d.
Journal of Biological Chemistry: Correspondence, 1903, 1940-1956, n.d.
Journal of Biological Chemistry: Miscellaneous, 1905-1961, n.d.
Third party, 1938-1939; unidentified third party, 1938, n.d.
Medical Hospital: Finances, 1940-1947, n.d.
George W. Merck Memorial: Incoming correspondence, 1954-1960, n.d.
Notes, purpose, and meeting minutes, 1946-1948, n.d.
Millay poem re Roosevelt’s trip to Philadelphia to receive academic degree, n.d. Speeches by ANR, 1942-1944, n.d. Speech by O.H. Perry Pepper, n.d. Summaries of experiments, 1943, n.d.
Miscellaneous nominations for membership, n.d.
Re membership nomination, 1932-1947, n.d.
Third party correspondence, 1941-1948, n.d.
Bureau of Medicine, 1948, n.d.
U.S. Public Health Service, n.d.
Army medical research, 1947-1948, n.d.
Re Pennsylvania Plan, 1940-1943, n.d. Articles by Richards, 1943-1964, n.d.
Third party correspondence, 1933-1946, n.d.
Re founding, 1891-1894, 1946, n.d. Finances and lab equipment invoices, 1894-1944, n.d.
Richards’ portrait fund: Contributor list, n.d.
Re membership, 1930, 1939, n.d.
St. Christopher’s Hospital, 1937-1939, n.d. Articles and reports, 1939-1940, n.d.
Miscellaneous meeting minutes, 1935-1940, n.d. Finances and diagrams, 1953, n.d.
Memoranda and meeting minutes, 1931-1938, n.d.
Reports, charts, and pamphlets, 1929-1938, n.d.
Re Edward Thompson: Correspondence and notes, 1940-1948, n.d. Unidentified outgoing correspondence, 1947-1948, n.d.; outgoing correspondence, n.d.
Miscellaneous meeting minutes, 1937-1946, n.d.
Notes and survey, 1938, n.d.
Notes and memoranda, 1940-1945, n.d.
Vivisection trial: Clippings, 1914, Apr. Experiments and diagrams, 1939-1946, n.d.
Incoming and memoranda, 1917-1918, n.d. Outgoing and memoranda, 1917-1918, n.d.
Third party and memoranda, 1918, n.d. Laboratory equipment lists and invoices, n.d. Addresses by ANR, 1947, Mar.-Oct.
Elsom: Experiments re bichloride and kidney, n.d.
Krick: Experiments re uric acid determinations, Book I, n.d.
Krick: Experiments re uric acid determinations, Book II, n.d. Carbon dioxide in blood, n.d. Note cards re creatinine, n.d. Experiments re glomerular urine, n.d. Essay re glomerular function, n.d. Experiments re glomerular fluid, 1931, Apr.-Nov.
Miscellaneous graphs, charts, and diagrams, 1932-1942, n.d.
diagrams and graphs: B-1957, #1-5, n.d.
diagrams and graphs: B-1957, #6-10, n.d.
diagrams and graphs: B-1957, #11-21, n.d.
Re laboratory equipment, 1932-1946, n.d.